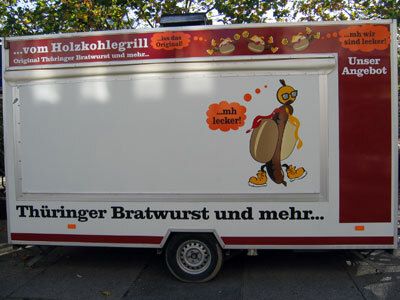 Habe dort allerdings noch keine Wurst gegessen, daher möchte ich mir kein Urteil über die Qualität der dort angebotenen Würste erlauben. This entry was posted on Saturday, November 26th, 2005 at 12:18	and is filed under imbisscasting. You can follow any responses to this entry through the RSS 2.0 feed. You can leave a response, or trackback from your own site.